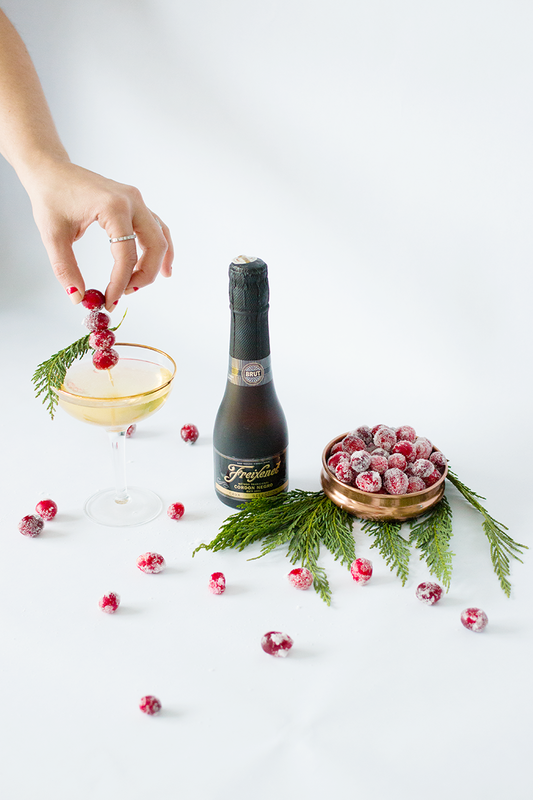 Whipping up cocktails over the holidays is one of my favourite things to do, especially when you have a chance to put your own spin on them. Any French 75 fans in the house? 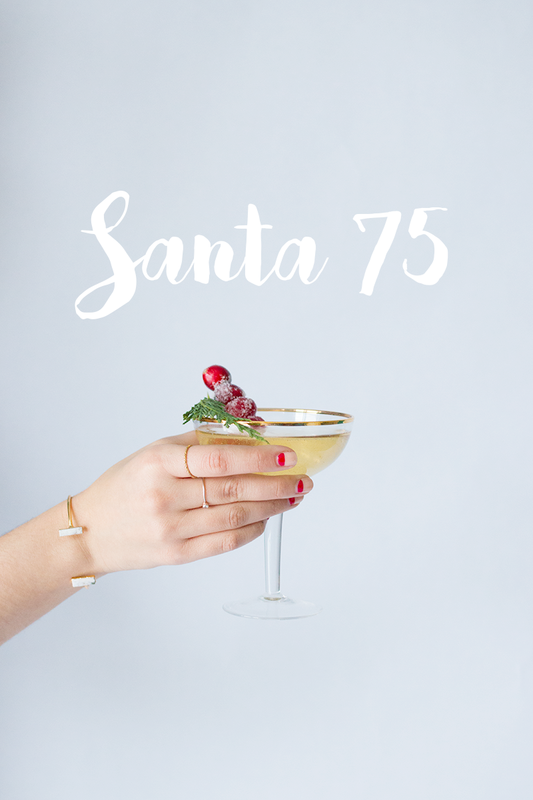 Well how about a "Santa 75?" That's right friends, I'm bringing those yuletide vibes to you today, and with full force. 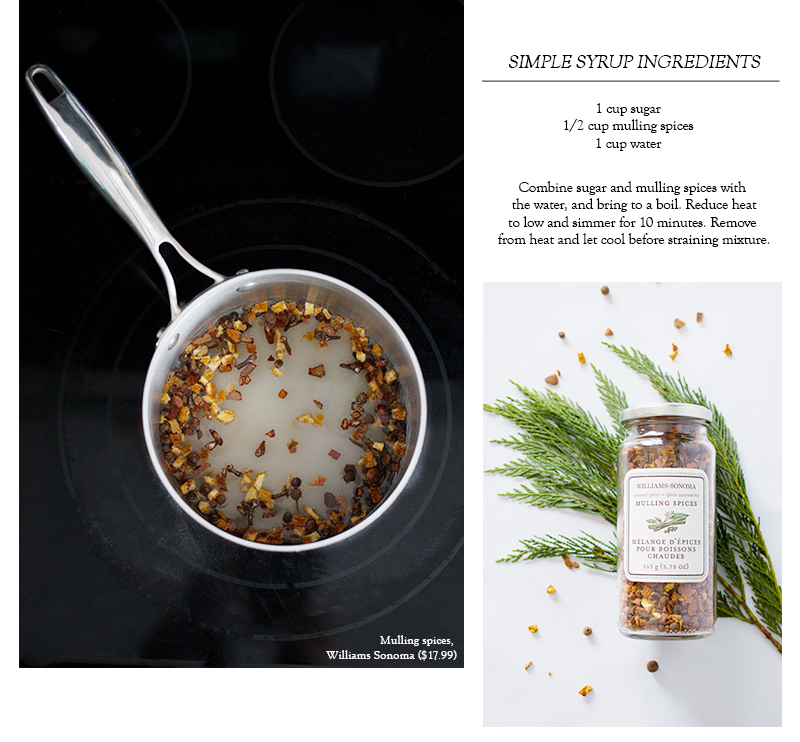 It's light, yummy and super easy to whip up, and total bonus, it'll make your home smell totally delicious in the process. What's not to love? I couldn't resist picking up some mulling spices the last time I stumbled into a Williams Sonoma, and my mind raced with all the possibilities — mulled wine! mulled cider! mulled beer? 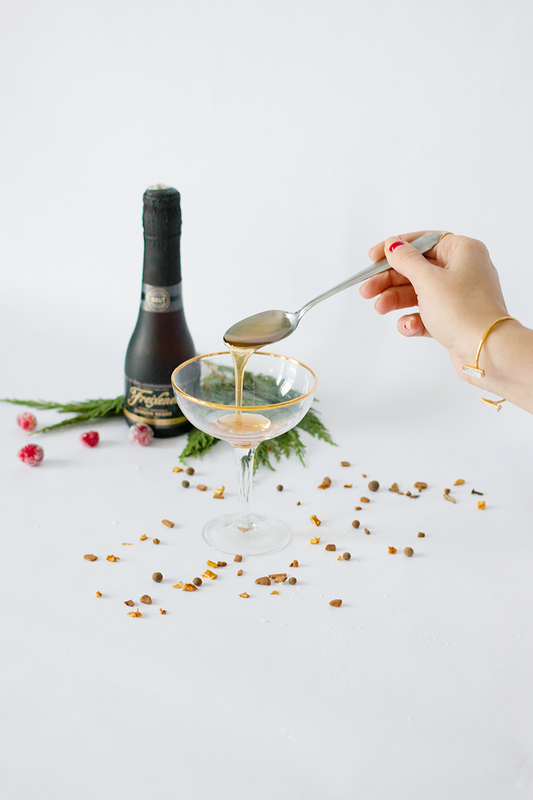 Anything seemed possible, and then it dawned on me — why not use the spices to create a festive simple syrup (instructions above) to jazz up a French 75, which, for the purposes of today's post, will henceforth be referred to as a "Bah Humbug." And you know what? It turned out to be one of my better ideas... helloooo, Santa! 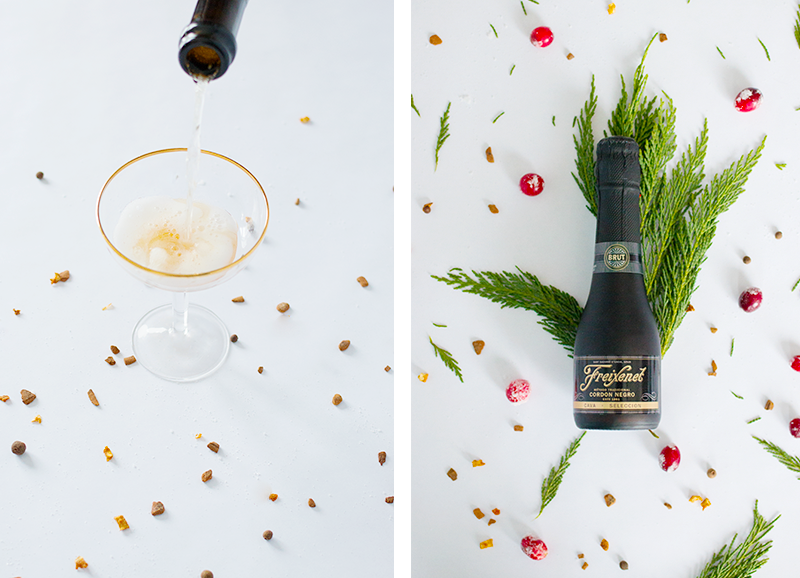 Once you have your festive simple syrup, add one to two tablespoons (depending on your preference) to a champagne coupe, and top with your favourite bubbly. 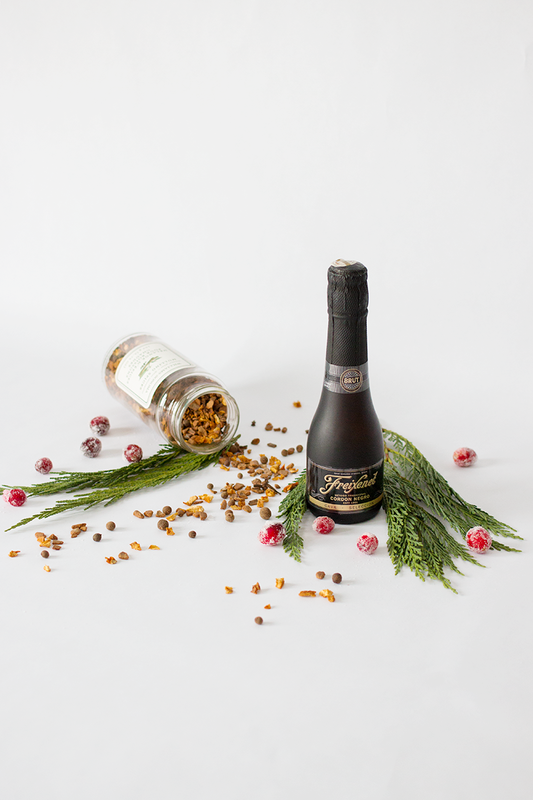 I chose Freixenet (let's be honest, I like the packaging), but any kind of sparkling wine will do. 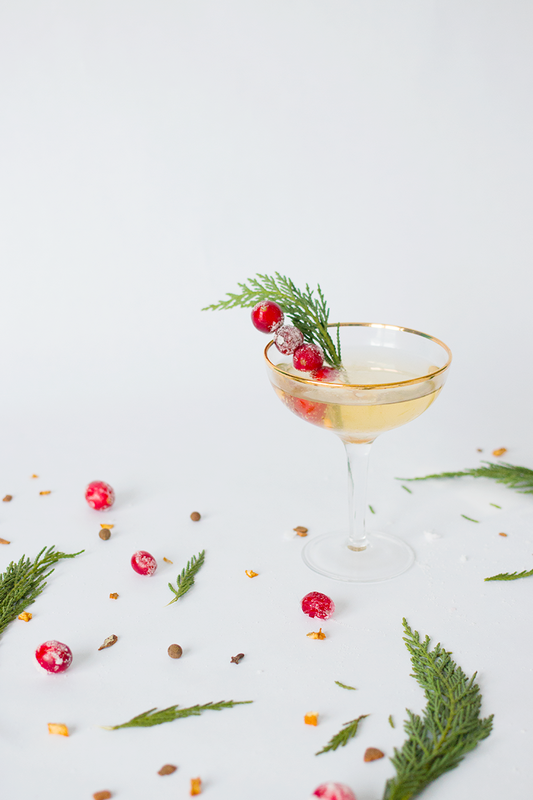 Now if you're a Bah Humbug purist, you're going to want to add gin to your cocktail, but I wanted to keep mine simple, plus I'm currently out of gin, so, you know... #KeepingItReal. 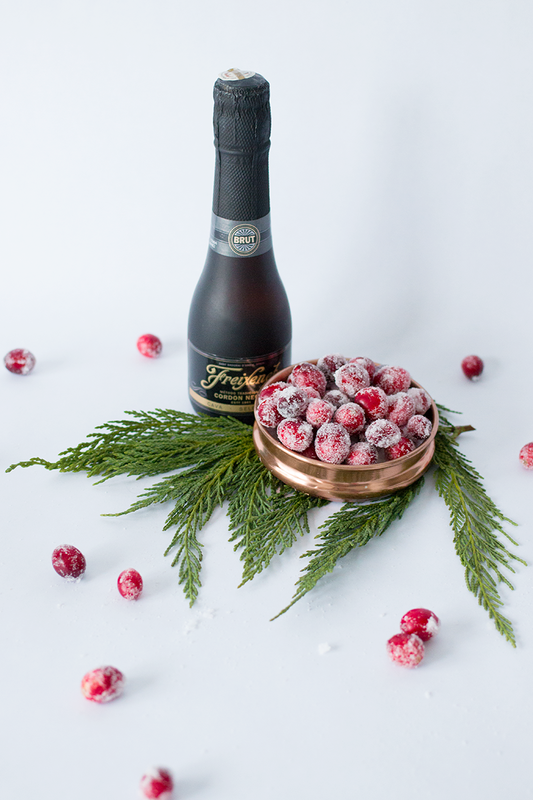 Garnish with some candied cranberries (recipe linked here) and some greenery, and you'll be feeling those holiday vibes in no time.